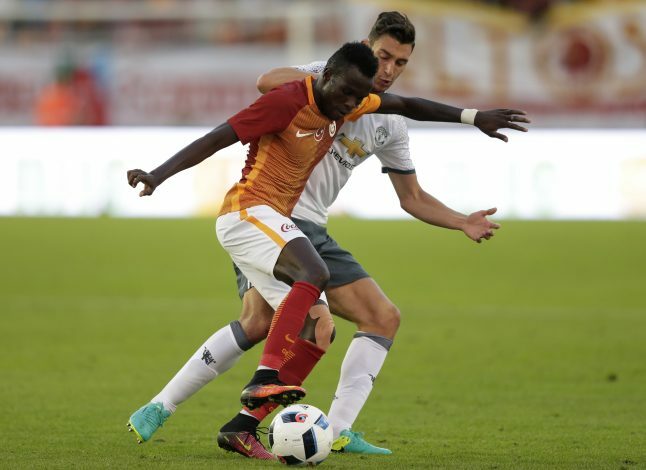 Galatasaray starlet Bruma is being monitored by numerous Premier League clubs at the moment, his agent has revealed. Bruma left Portuguese outfit Sporting Lisbon to join Galatasaray back in 2013, for a fee of €10 million. And after having spent a few seasons on the fringes of the first team, and also out on a loan spell at Real Sociedad, the promising starlet has finally established himself as a crucial player for the Turkish giants this season. The 22-year-old has been in the form of his life so far, after already having bagged 4 goals and 3 assists in 10 games for Galatasaray this season. And in the process, Bruma has also attracted interest from numerous top clubs from all around Europe. And as per The Mirror‘s latest report, one of those “other English clubs” is none other than Jose Mourinho’s Manchester United. Mourinho is believed to be a long-term admirer of Bruma. In fact, the Special One had even promised the youngster that the Red Devils were going to keep tabs on him, following the friendly game between United and Galatasaray earlier this summer. “He (Mourinho) congratulated me for the performance and said he was impressed with me,” Bruma had revealed following the aforementioned friendly. Apart from Spurs and Man United, clubs like Arsenal, Chelsea, Everton, and West Ham are also believed to be interested in the player’s services. And amidst reports of interest from England, it is also being rumoured that the Portuguese star has rejected a contract extension offered by Gala to force his way out of the club.